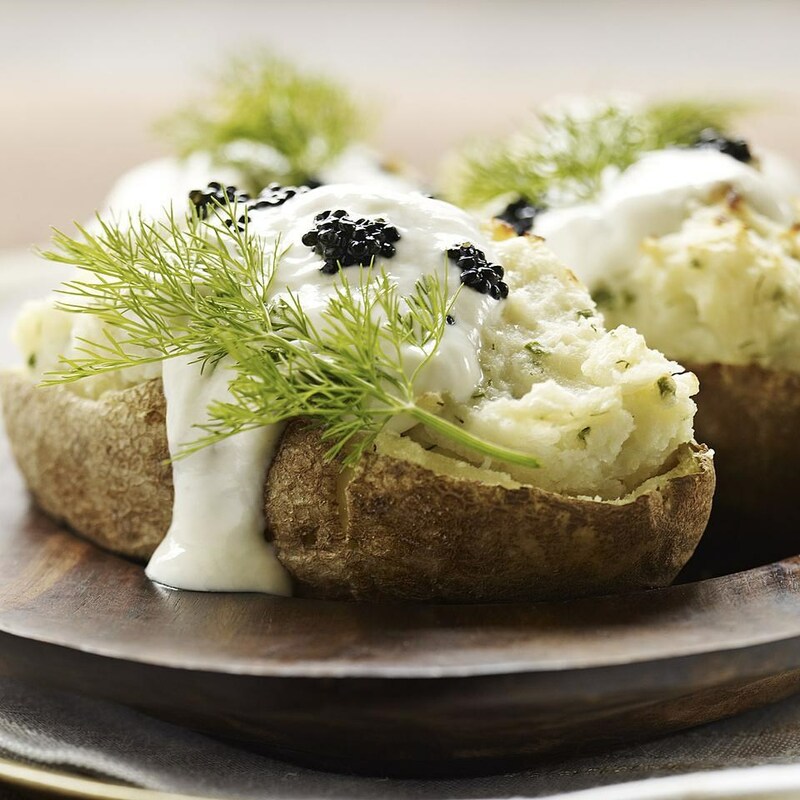 Twice-baked potatoes get an elegant treatment when spiked with horseradish and topped with a bit of caviar. 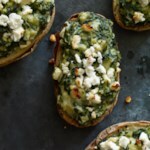 If oven space is limited, these can be made in the microwave. Reduce oven temperature to 375 degrees . When the potatoes are cool enough to handle, cut in half and scoop the insides into a bowl. Place the skins in a small baking dish. 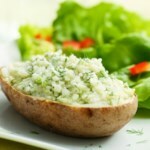 Add ¼ cup sour cream, milk, horseradish, chives, chopped dill, salt and pepper to the potato insides. Beat with an electric mixer or mash with a potato masher until smooth; divide among the potato skins. 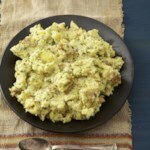 To serve, top each half with 1 tablespoon of the remaining sour cream, ½ teaspoon caviar and a dill sprig. Prevent burning: If your potatoes are very full, bake them on a foil lined baking sheet to prevent burning.